California, a western State that stretches 900 miles from the Mexican border along the Pacific is home to 40 million Americans with 14% being seniors 65 and older . Within the senior population, there are about 70% have as least one chronic condition. When turning the age of 65, it is important at the to look for California Medicare Supplement Plans. There are approximately 5.6 million individuals covered under Medicare (2015, kff.org). There are 476,000 Medicare beneficiaries with a California Medicare Supplement Plan or “Medigap” policy (2015, AHIP.org). The most popular California Medicare Supplement Plans are Plan F, J, and N (2015, AHIP.org). California Medicare Supplement Plans can help fill in the gaps Medicare Parts A and B do not cover such as deductibles, copayments, and coinsurance. Seniors age 65 and older who have Original Medicare (Parts A and B) are eligible to sign up for a California Medicare Supplement Plan to help pay for some of these out-of-pocket healthcare expenses. 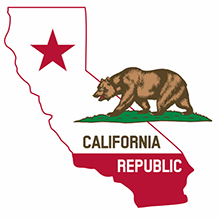 List most states, California has ten standardized Medigap plans each labeled with a letter from A through N. These plans have the same standardized benefits for each letter category. For example, Plan F will have the same benefits regardless of which carrier. The difference would be the carrier’s premiums. There are competitive rates and plans from multiple carriers. 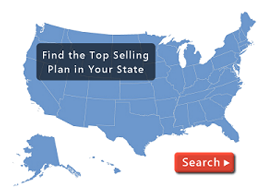 Plan Medigap can assist find the most affordable plans in your area and help you apply. Give us a call at (800) 750-2407, complete our form on our quote page, or click the link below to request an appointment.